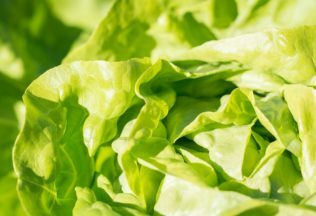 The University of Queensland and Horticulture Innovation Australia are partnering to investigate whether adding probiotics to bagged salads can help reduce incidences of salmonella and listeria poisonings. The research partnership comes after more than 300 Australians experienced salmonella poisoning after eating bagged salads sold in supermarkets in February 2016. The two year, AUD $800, 000 project, will test the use of ‘friendly’ lactic acid bacteria called ‘ProbiSafe’. “These recent Salmonella outbreaks have had a significant impact on the vegetable industry,” said researcher, Professor Mark Turner. “A low level of pathogen contamination can be difficult to control and methods to remove or kill pathogens, such as washes and chlorine treatments, are only partially effective. Our project aims to commercialise new strains of bacteria that already naturally occur on vegies,” he said. Dr Turner said the ProbiSafe bacteria strongly inhibits growth of Salmonella and Listeria and has a long history of safe human consumption.